Winery: The Mulderbosch estate was founded in 1989 and is located in Stellenbosch in the Western Cape region of South Africa. The estate is a member of WWF-SA Biodiversity & Wine Initiative, following sustainable and organic methods in both the vineyards and cellar. Many areas of their land are under conservation, such as wetland rehabilitation and the introduction of native plant and animal species. 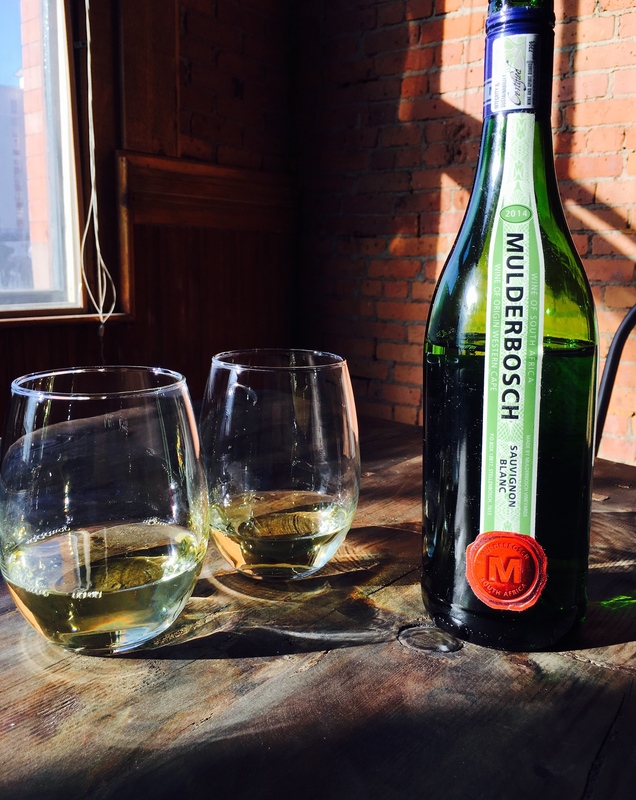 In 2011 Mulderbosch was purchased by wine investor Charles Banks’s Terroir Capital LLC, a firm that specializes in “unique hospitality and wine properties”. Winemaking: Over the past few years Mulderbosch Sauvignon Blanc has been awarded many accolades, with perhaps most significantly wine guide author John Platter calling it ”South Africa’s most celebrated Sauvignon”. Fermented on the lees “for as long as possible”. Tasting Notes: Brilliant gold in colour with aromas of lemon and wildflowers. Bright flavours of grapefruit and floral notes are highlighted by traces of green olive and flinty minerals. A racy acidity buoys tart green apple and lemon zest on the zippy finish. Lively and refreshing, this is wonderful for sipping on its own or with a wide variety of dishes, especially those that are loaded with fresh herbs. Sounds like my kind of wine…will have to see if it’s available in Ireland! Yes! I have been enjoying quite a few wines lately that are totally your style.